We deliver flowers all over the Cherkassy region, even to the most remote villages. We deliver to any city or village of the Cherkassy region. The assortment of the store in each city can differ and sometimes, some colors / goods may not be available in a particular city. In such cases, a replacement will be performed, according to our The Policy of replacement. Flower delivery to Cherkassy is for free (provided that there are flowers in the order). Free delivery in Cherkassy from 9.00 to 20.00 (by local time in Kiev, Ukraine). Delivery of the order, which does not include flowers (only sweets, cake, balls, soft toys, vases, etc.) - 100 UAH. 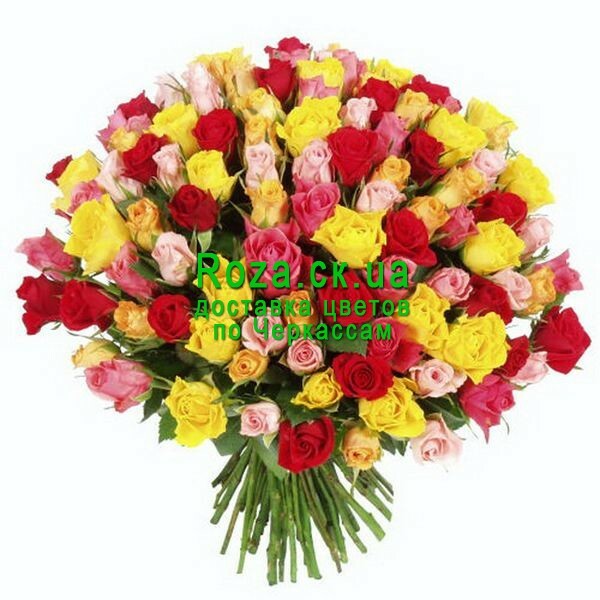 Delivery to other cities of Cherkassy region is paid. We can deliver your order to any village in Cherkassy region. If the village where you need the delivery is not in the list above - contact us and we will inform you about the cost of delivery to the desired village. You can pay by Visa, Visa Electron, Mastercard и Maestro issued in any country and in any currency. There will be an automatic conversion at the exchange rate of your bank on the day of payment.